Enjoy this PDF, work through it and make each step count, this is the first steps to making a full time income for my students, this works but is just the beginning of an online journey that can take you into the realms of being an Internet marketing and traffic master. How do we grow our list? Let me introduce you to a term you may, or may not know. One I teach people new to solo ads so they can get a bit of cash flow behind them, and understand the basics of list building . We add in some basics in this course as well as some more advanced techniques you may not have heard of. This will ensure you get the best start you possibly can whilst staying one step ahead and growing at an efficient rate. So you will then build your list further without spending any money! 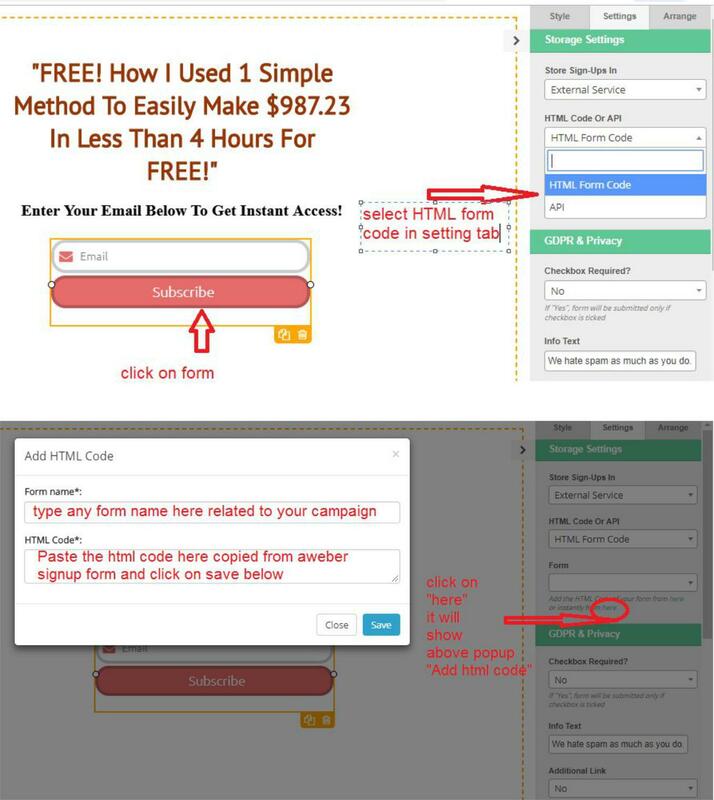 In its basic forms, this is all that happens, you send clicks to each other and collect opt ins without cash changing hands = zero cost list building! What are the benefits of click banking? Click banking works extremely well and is well used in the Making money online / biz op niche and that’s all we will be focusing on here. Now let’s say you wanted to to build a list or promote a product. The way most people start is by buying solo ads. With click banking, any mistakes can be rectified quickly and easily (as long as you have your eye on the ball) as you are growing at a predictable and scaleable rate. With these traffic sources experienced marketers know they will lose money, before they can optimise to win. In other words they will need to have a good budget just for testing. 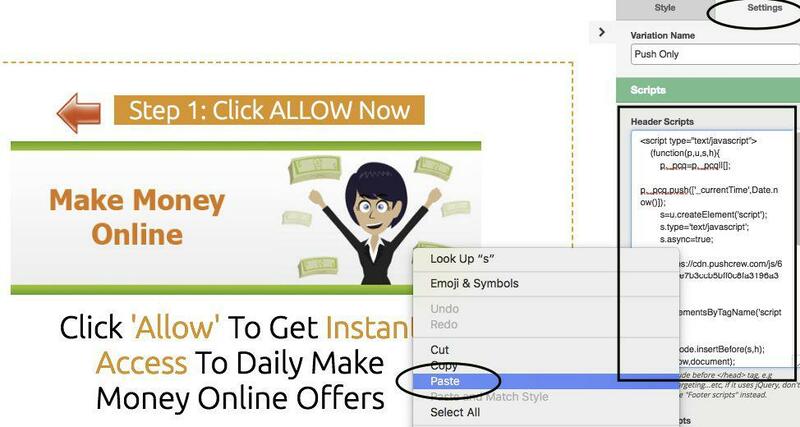 With clickbanking if you loose it will be a minimal amount of clicks, which you can soon make up. Click banking traffic is not always the best quality traffic, and some partners can use very spammy tactics but we are here to help you get this right with this PDF and our support. Now for the big part, setting up for click banking. For this you need a few tools, a tracking software, an autoresponder, a squeeze page builder and push software…. For each of these we recommend the following. 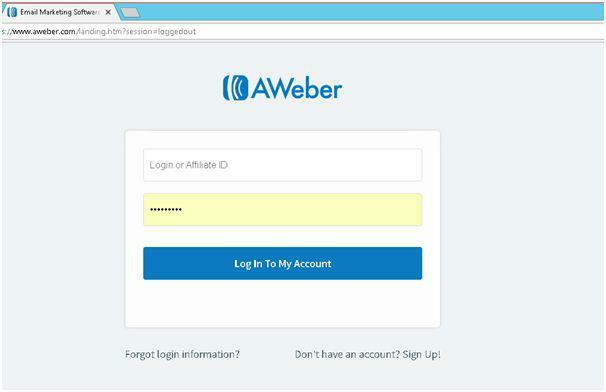 So first let’s have a look at setting up aweber. If you have an aweber and know how to set this up you can skip this and move onto the next part. 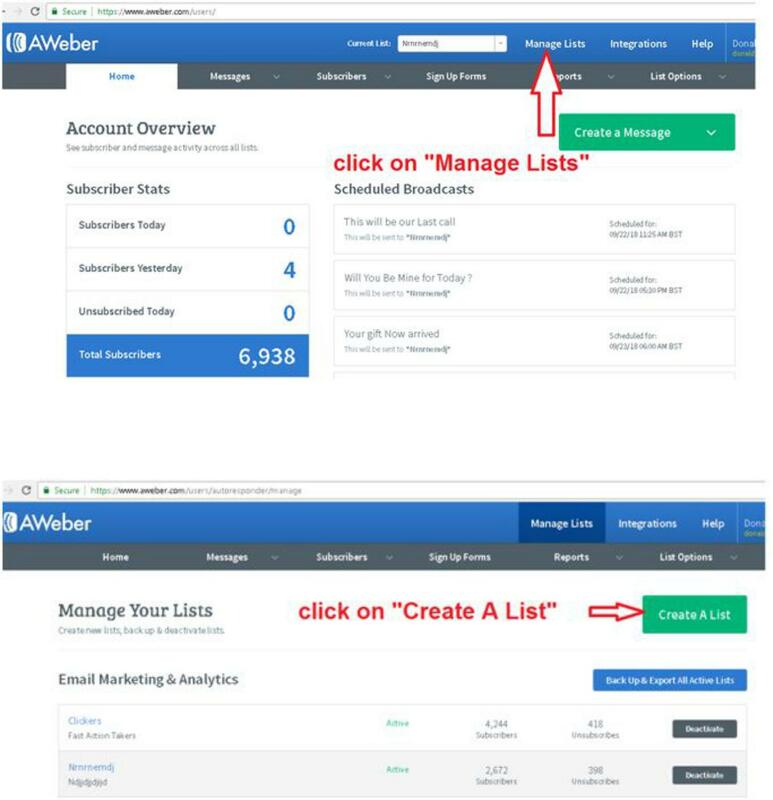 Once you have your aweber account, it is then a case of setting up your first follow up. This should be very well written and contain a monetisation method. I would suggest using the CPL we suggested in the last section how to monetise your money making machine. You will be sending 2 emails per day to your list, and this should be to banking partners, your own offer or you chosen monetisation method ( see more on this later). But for now you can simply send to your banking partners link. Wishloop is our landing page creator of choice and has some tools you will need for this method to work fully. You may already have one, but we find this works best for us as it gives us access to a secret method we use. 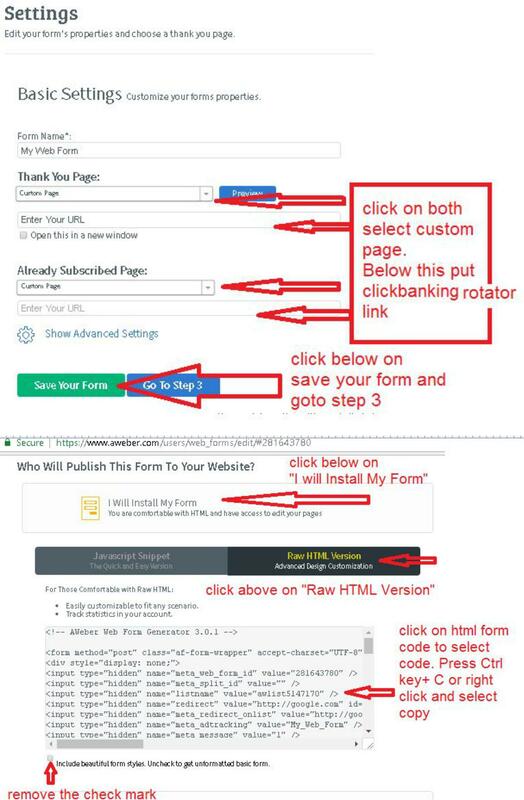 Now we need to create a squeeze page (a squeeze page in our terms is simple a page with a few lines of text, and an email submit field where the visitor enters their email address and when they optin it goes to your auto responder.) This should be relevant to the offer in your first follow up. Many people make this generic ie. earn 500 USD per day with only 1 hours work per day” but the more congruent your message the better the response will be. 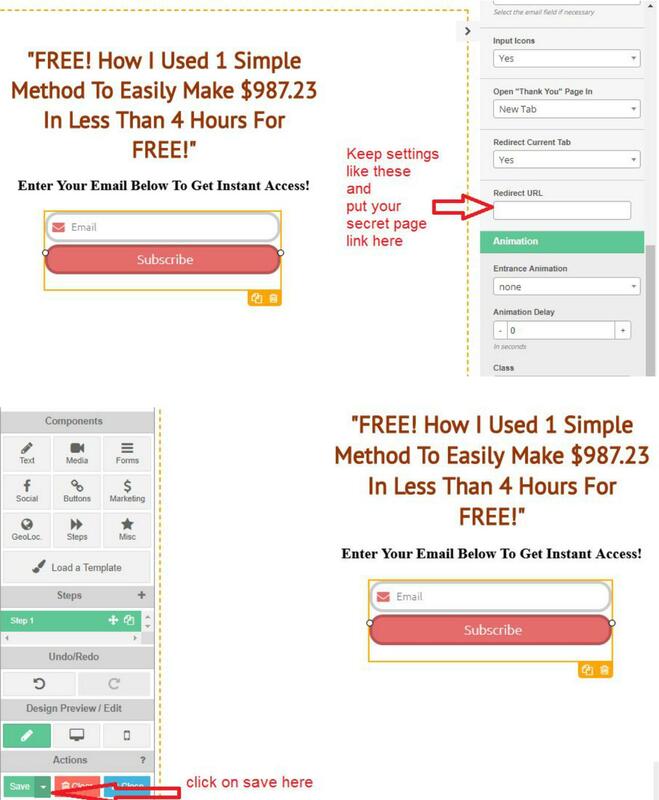 Follow the instructions here on how to set up a squeeze page and connect it with your auto responder. Now need to change following template with Headline,subheadline, background and aweber optin form code. Now your squeeze page URL is ready. Now the secret page, this is one technique we developed a while back (yes we originated this). This page basically allows us to get more clicks out of funnel than just the thank you page. When you have 100 clicks incoming, and you have an opt in of say 50%, this means you have a return of 50% (in terms of clicks). Now with the secret page you can add an extra 10-50% return. 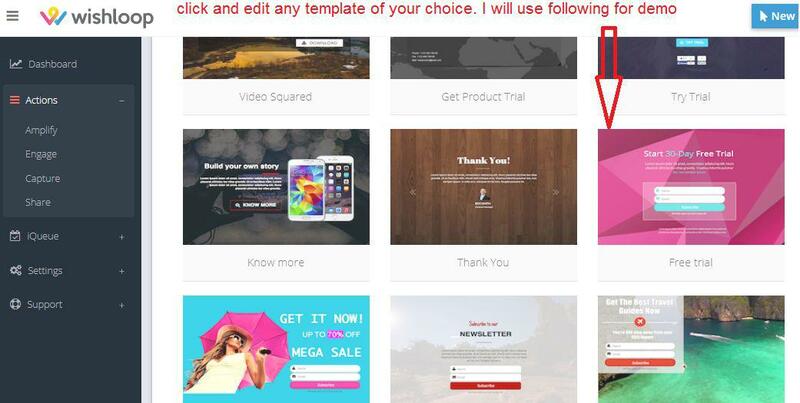 So now you can can basically get 100 clicks into your funnel, and send out 60-100. (100 is very very hard to get as its takes a lot of traffic and a lot of optimisation, plus a few other underground techniques, but you can achieve this with just the left behind page). When you are at 100 clicks in 100 clicks out, this is what we call free list building. And you can do this forever. All the links on your secret page should go to you click banking link. Watch this video to help understand how the secret page works with our profit vortex system. Now, whats the use of having all of these clicks coming in.. and not being able to tell opt in rates, amount of clicks people owe you and amount of clicks you owe other people, this is where a tracking tool comes in. NOTE: You may have to go back over the previous sections to add in rotator links etc. 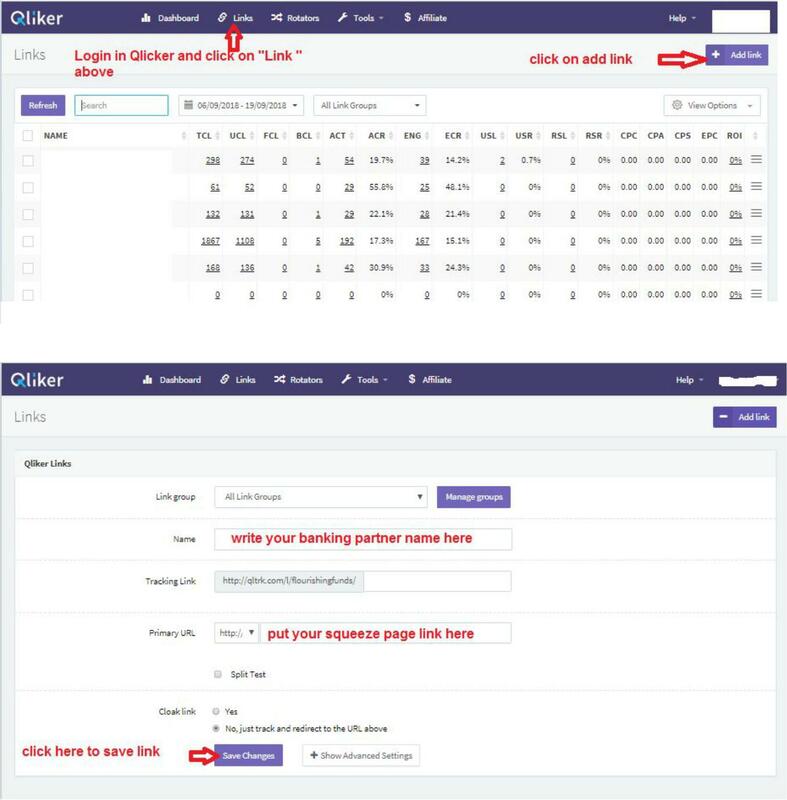 It tracks clicks, and in a link tracking there are two ways of tracking..
A tracking link, which you give to banking partners. With the tracking link you can see how many clicks have been sent to you and how many opt ins each partner has sent. But for now we don’t need these are we use my own providers of banking partners so we know the quality of the traffic you will be receiving will be good, again you can find this list in my Facebook group so you don’t pick some bad guys to bank with. The next type of link is called a rotator. A rotator does exactly what it says on the tin, it rotates through links. 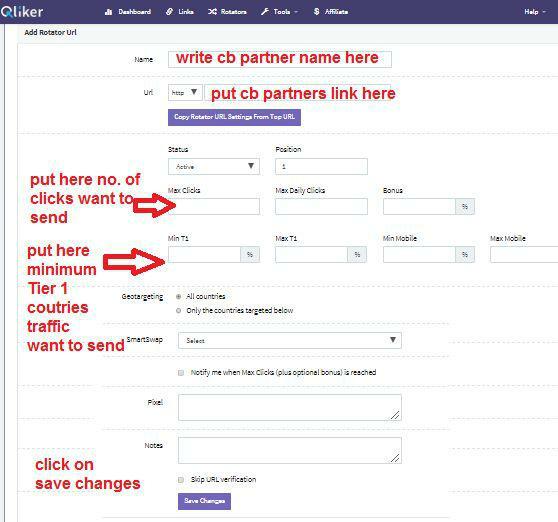 This is where you put partners links and it rotates through them making sure that they receive the exactly the same as what you send them. And you may add multiple links exactly like this. So you may or not now what push notifications actually are. Well there are two types which are both controlled from the service you use. There are mobile and desktop, both are basically the same. On a mobile phone if you are not sure what they are, they are the notifications you get on your home screen that pop at the top. These can come from games, facebook, calendars, reminders and pretty much any service that wants to use them and which you accept. There are a large number of companies that provide this service. If you google it you will see there are loads as they have massive increased since they started. The company we will use here is pushcrew and all our instructions are for those. You can use push notifications for many, many things. Ecommerce stores use them to update customers on order status and when they have a sale. Internet marketers can use them, for product releases and blog updates. Calendars can use them to alert you about your next appointment. So what’s better, are pushes the end of email? Will pushes just be a fad that disappears? First let’s look at these CTR on pushes from our recent test sends. This account is fairly old and is used for testing. On a new account you can see 10% + ctrs! Now compare that with email, even with our very best traffic sources whilst we clean our list and keep the things fresh it’s hard to hit an average of even half of this. Pushes are pretty much here to stay, and no matter what you do online they should be part of your armory. But what about facebook messenger bots? Well you can send multiple pushes per day without worrying with any message you wish, with facebook messenger bots after the first message you are not allowed to send promos, and if you send to often (even once a day may be to often) then people unsubscribe left, right and centre. Push notifications are the next best thing to email and compliment what we do perfectly. There are many Push notification companies available offering paid or free services. The one we have found very reliable and reasonably priced is PushCrew. 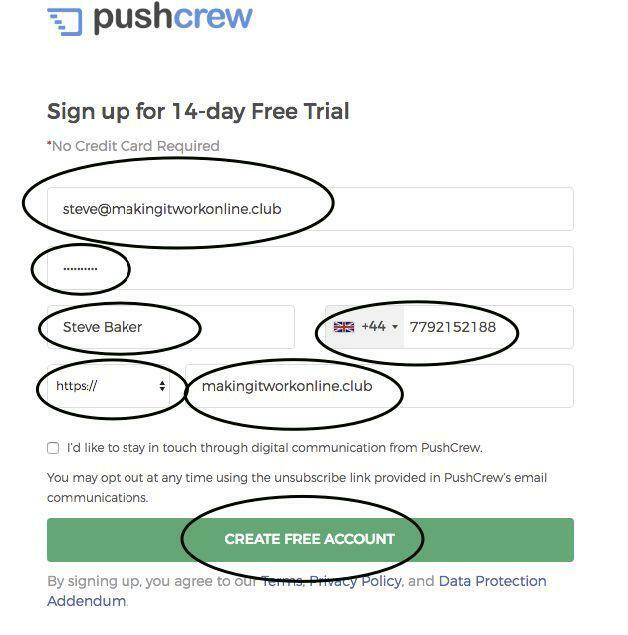 Now before you rush off and set up a PushCrew account (with 14 day free trial), please make sure you setup a Domain name on some hosting and enable SSL as it will make the PushCrew account creation and configuration much easier. Follow all the instructions below which are laid out step by step for you. Create a Landing / Squeeze page​(in HTML Format) setup on your hosting to capture your push notification customers. Recommended software Wishloop, ClickFunnels etc..
SSL Optin vs Non SSL Version – ​Write here the Pros and cons of SSL push optin vs non SSL push optin ? We recommend using Let’s Encrypt free SSL for setting up your Push Notifications. You can choose to purchase an SSL certificate if you wish, but we have found the free Let’s Encrypt SSL to work very well with no problems. If you already have hosting with companies like Godaddy or Hostgator or others that do not have a free SSL option, that is fine, but you will have to pay extra, and sometimes you have to apply for an SSL certificate and wait for approval. Purchasing a hosting plan with Cpanel is also highly recommended as it is much easier to manage uploading and editing your Push landing pages, HTML files and configuring DNS and SSL. 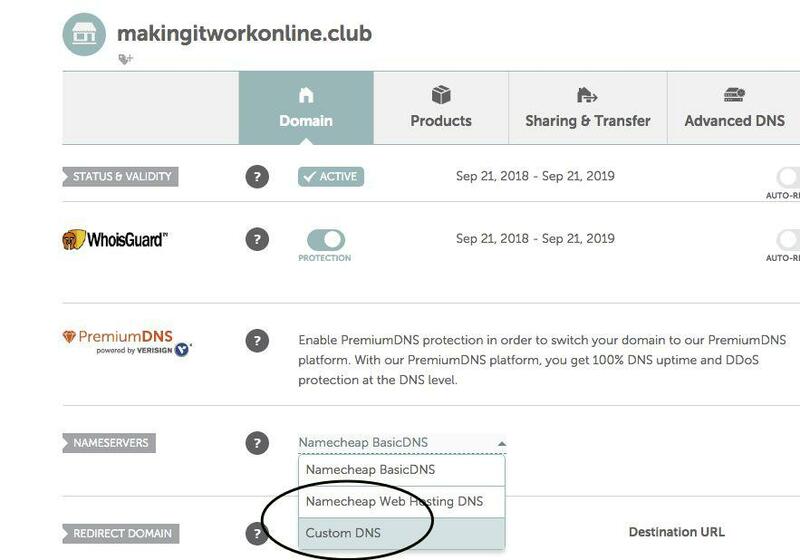 So, now that you have purchased your hosting with Cpanel with free Let’s Encrypt SSL (or alternative SSL solution), you will need to add a Domain name to your hosting ready to upload your Landing page and configure your Push account. You can purchase a new domain from many different Domain Registrar companies, such as Godaddy, Namecheap, Bluehost, Hostgator. It is totally up to your which company you choose. For the purposes of this documentation we will be using Namecheap. Also, you can use any domain extension (or TLD) that you wish. All registrars having different pricing deals and structures. For the purposes of this demonstration we will select a .CLUB extension which is the cheapest option in Namecheap. You will need to create an account at your chosen Domain Registrar company in order to be able to purchase and manage domain names. Once you have created an account, logon and search for a domain name that you like – e.g. ‘makingitworkonline.club’. The name you like may not be available, so you may have to modify your search until you find your desired domain name. Also you can choose many different domain extensions (a.k.a TLD), such as .COM, .CO, .ORG, .EU. .COM are the most expensive, but you do not need a .COM for Push Funnels. We often use .CLUB as these are more readily available and are much cheaper. You can choose a name that describes your business, or select a name that is related to Internet Marketing or Making Money Online Niche. 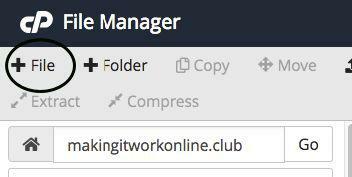 We have chosen ‘makingitworkonline.club’. 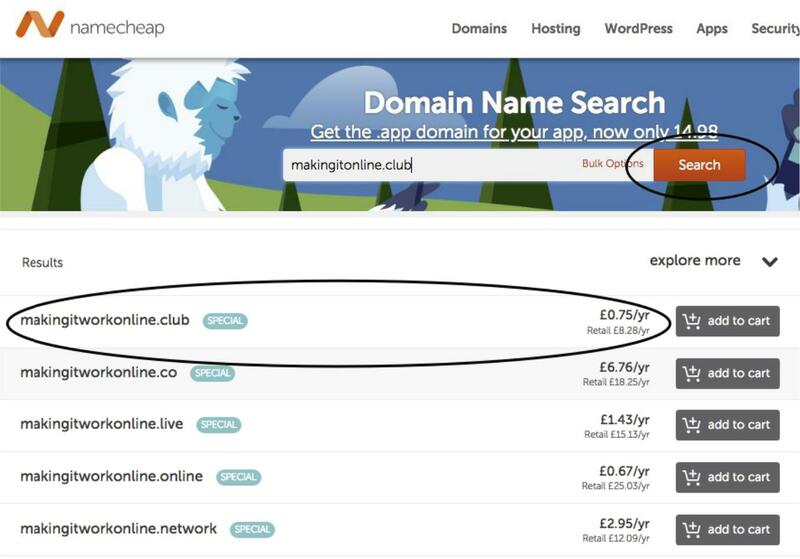 The .COM version of this domain had already been taken, and would have probably cost a lot of money, so we will use the .CLUB version for just £0.75. The .ONLINE version is cheaper, but when it renews next year it will cost £25, instead of just £8 for the .CLUB version. So now our new domain name is ready to go and can been seen in the Namecheap account. If we type our Brand New Domain name into a browser it will not display any meaningful content, because nothing has been created yet, and also the domain needs to be redirected to display the content on the Hosting you have purchased. Above are the nameservers for the hosting company called Zuver. If you cannot find the nameservers for your new hosting in your Welcome email then you can often do a google search such as ‘zuver nameservers’, or you can contact the Hosting support and request them. After you select the tick you should see the following message: DNS Server update may take up to 48 hours to take effect. It is possible that it may take 48 hours before you new domain will be linked to your new hosting, but usually it is just a few minutes or hours. C. Add the Domain Name to your Hosting account. 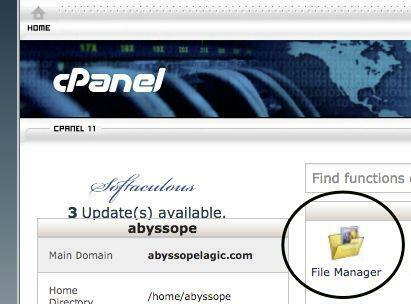 First you need to logon to the Cpanel of your Hosting Account where you want to link your new domain. 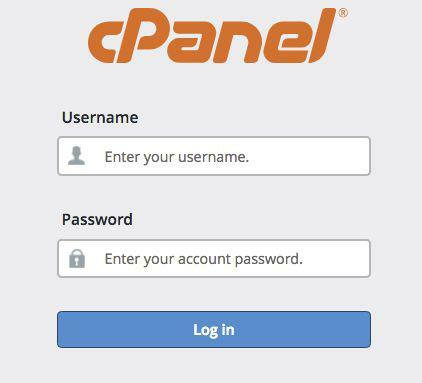 The URL link and user login details to the Cpanel should have been sent to you in your Welcome Email when you purchased the Hosting account. 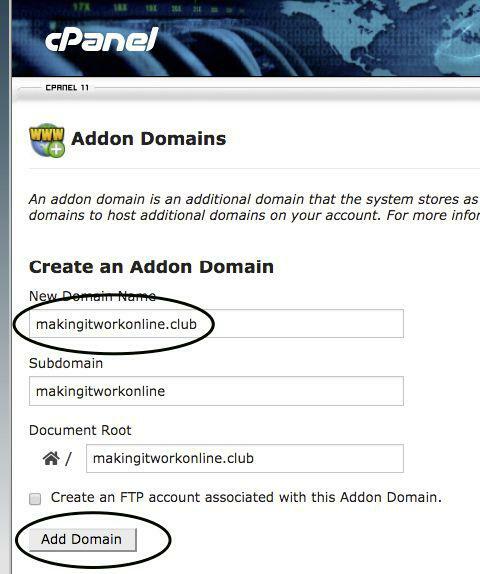 Once logged onto your Cpanel find the Addon Domains icon and Click on it. Enter your new domain name in the ‘New Domain Name’ Box, then click on the Add Domain button. Do not enter http:// – you only enter the exact domain name including the extension (TLD). Also, Do Not Enter anything in the Subdomain or Document Root boxes. These will be filled out automatically when you click on the Add Domain Button. If the DNS Servers have updated in Step B above (which remember could take up to 48 hours), then you should see the following message. If you get an error, then try again later. If you still get errors after a few hours, or max 48 hours then make sure you entered the correct nameservers, or contact your Hosting support for assistance. 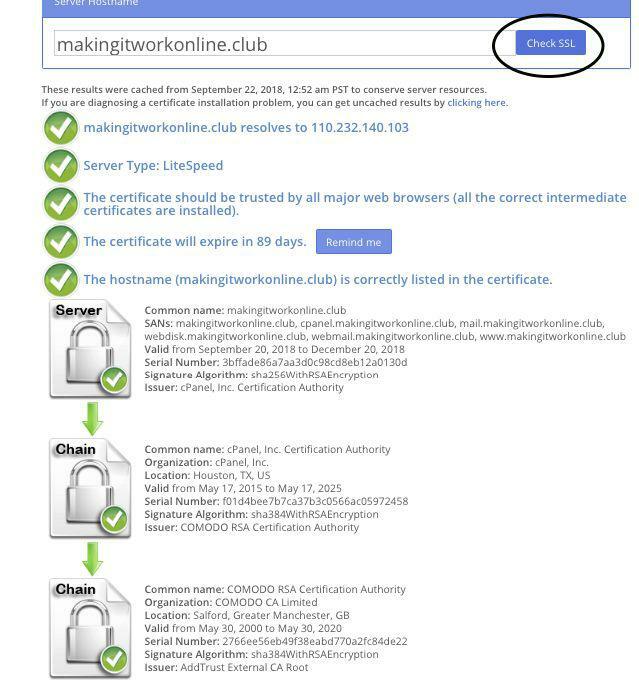 Our domain ‘makingitworkonline.club’ took just a few minutes to update and added straight away. This now indicates that the domain name has successfully connected to the hosting, but there is no content in the form of HTML files present to show any meaningful content. 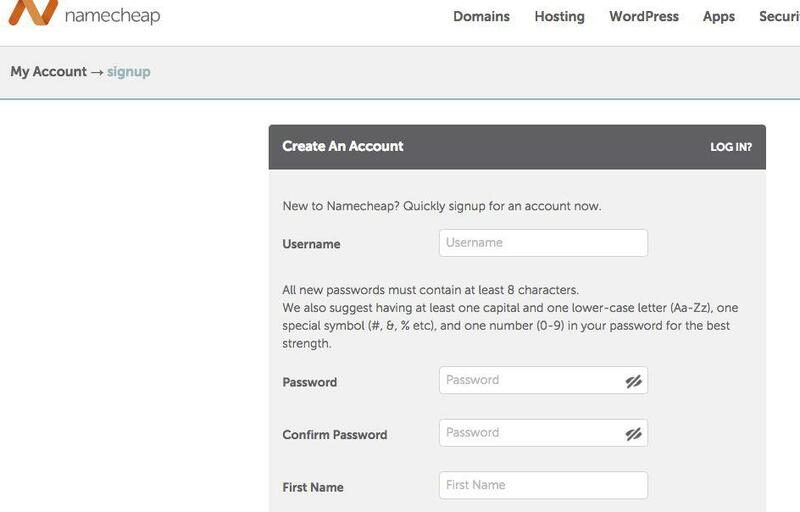 When you create a PushCrew account, as part of the initial sign-up you will need to enter your new domain name / Website. The account setup will look for some website content in order to recognize your domain as having a ‘Website’. By default browsers and search engines look for a file called INDEX.HTML on the root of your hosting. So before creating a proper Landing/Squeeze page you should create the file called INDEX.HTML. 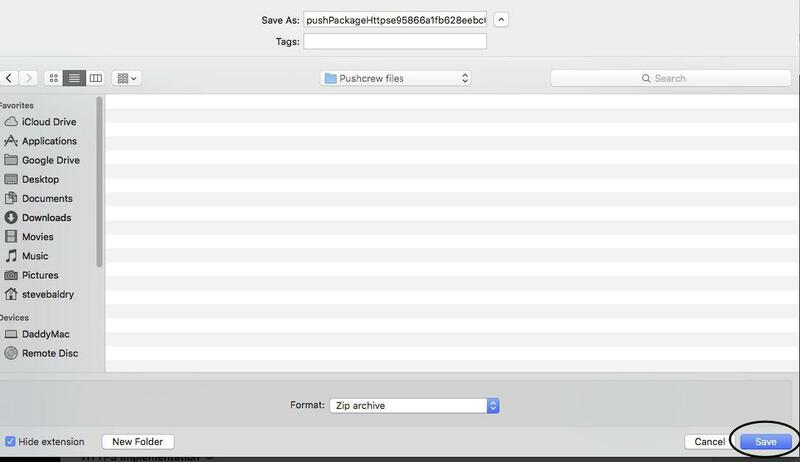 It doesn’t even matter if the file is left blank, as long as PushCrew setup can see the existence of the file. I usually add some basic text in the file though, to test connectivity. E. ​Edit the Index.HTML file and add some text. Now, when you type your new domain name into a browser it will automatically load the Index.HTML file. ​Check /​​Enable SSL for your new domain name on the hosting. SSL needs to be enabled on your domain name / hosting so that the Push Notification pop-up message can be displayed for your subscribers to click on ALLOW, so they are signed up to your list. 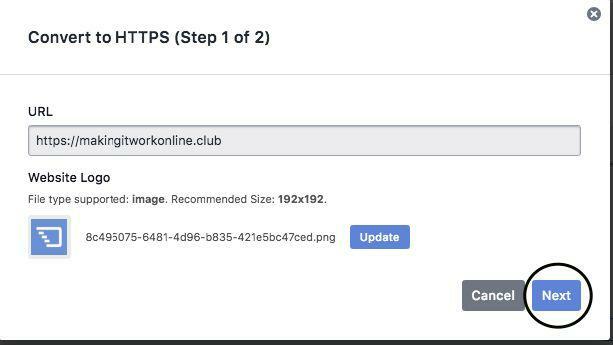 Once SSL is enabled you will need to use https:// instead of http:// for any landing pages / blogs or websites where you want to display the notification optin pop-up message. Some hosting companies now are setting up SSL Automatically, including Zuver, which is the hosting company we are using here for our demonstration. If everything is ticked like above then you are good to go. Your domain name is SSL Enabled. So if your SSL certificate is NOT setup on your domain you will need to enabled it manually. F. ​Enabling SSL using “Let’s Encrypt’. 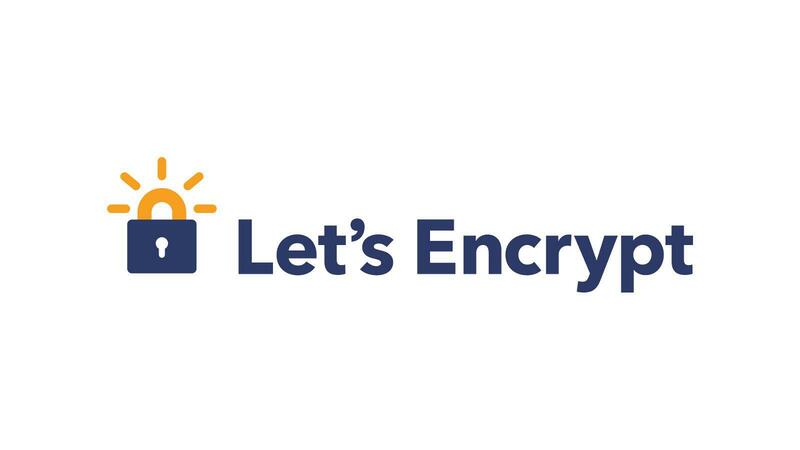 To enable SSL using ‘Lets Encrypt’, first you need to find the Let’s Encrypt option. 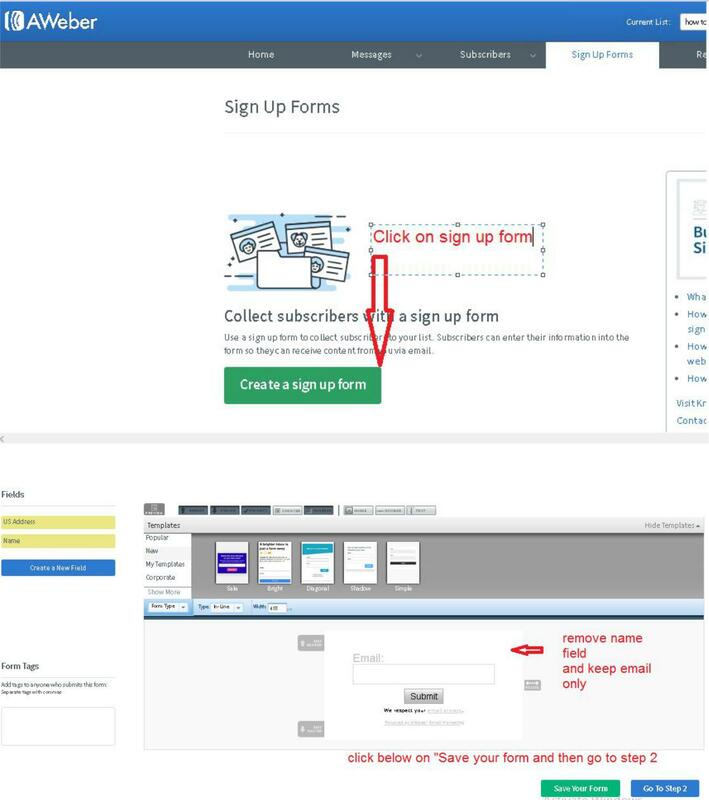 In Zuver Cpanel, this is not an Option, so you will need to sign into your MyZuver Portal. You should have logon details in your Welcome Email from Zuver (or whatever hosting you are using). 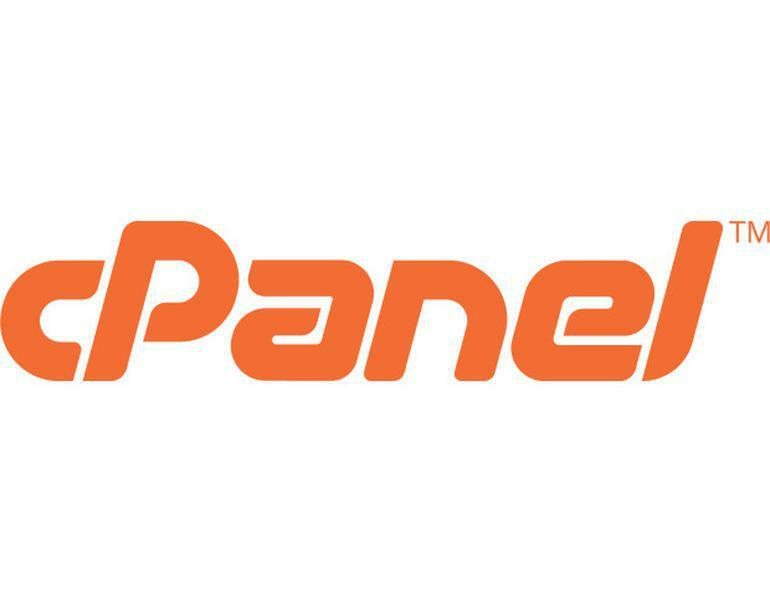 Other hosting companies may have ‘Lets Encrypt’ in their Cpanel. If you are not sure contact the support for your hosting and ask them how to enable SSL on your domain. If your domain is showing ‘Inactive’, then simply click on the Install button and the Let’s Encrypt SSL certificate will be automatically installed. You will not need to pay anything for 14 days, and you will have a fully functional PushCrew Account for up to 2000 subscribers during that time. You now need to setup your Pushcrew account to allow it to use the SSL (HTTPS) method for optin. You will need to download the HTTPS-Files.zip file to your computer, upload it the root of your domains hosting, then extract the files on the hosting. 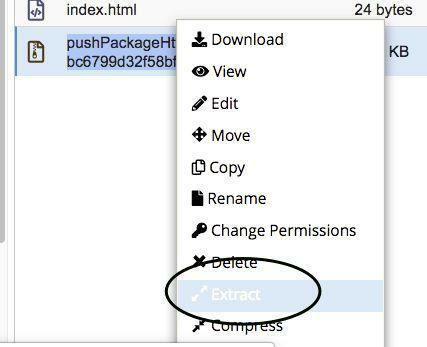 You can upload the ZIP file then extract them on the hosting – you don’t need to extract them first on your computer as it shows above. Choose a folder on your computer and click Save. This is a screenshot from a MAC – this may look a bit different on a PC, but the principal is the same. 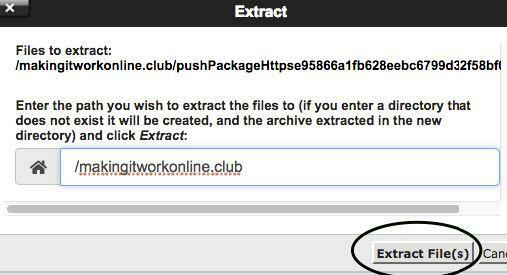 Step 4 – Click on Select File -> highlight the ZIP you just downloaded, the click Open. Step 5. 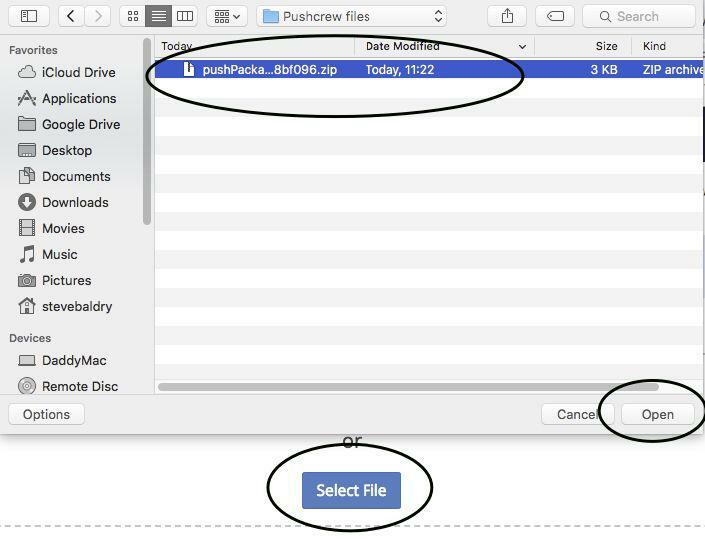 Click on the Reload button once the file has uploaded, and you will see the pushPackage zip file. Click on the Reload button again and you will see 3 new files. You should now see the message above that ‘Your account is on HTTPS’. Click on Optin and change the Display Optin-Box from the default 5 seconds to Immediately. 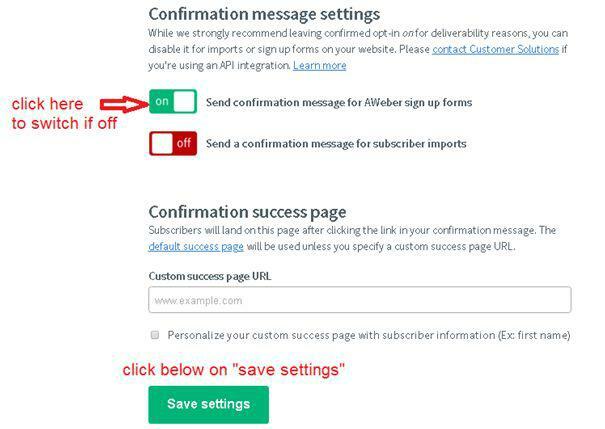 This will improve your optin rate once you setup your Pushcrew notification on your Website / Squeeze / Landing page. 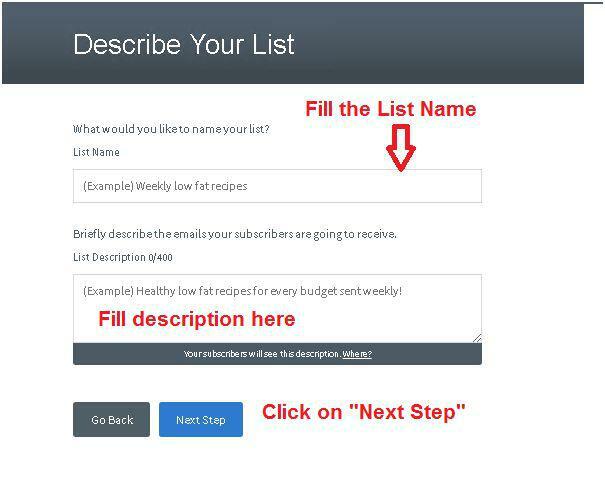 In order to capture your subscribers to your PushCrew list you will need to create some content in the form of a type of Website. This can be in the form of a single website page known as a Landing Page or Squeeze Page. 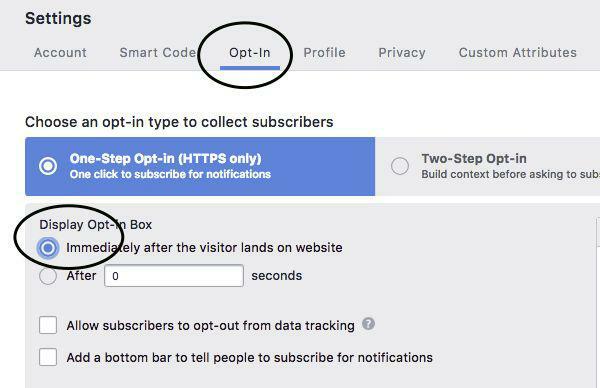 You should include a nice design and a strong call to action to encourage your viewers to subscribe to your list (in other words click the ALLOW button). We recommend adding this to the squeeze page you already created before, but many people do different things and ones you are used to using them, you can experiment. 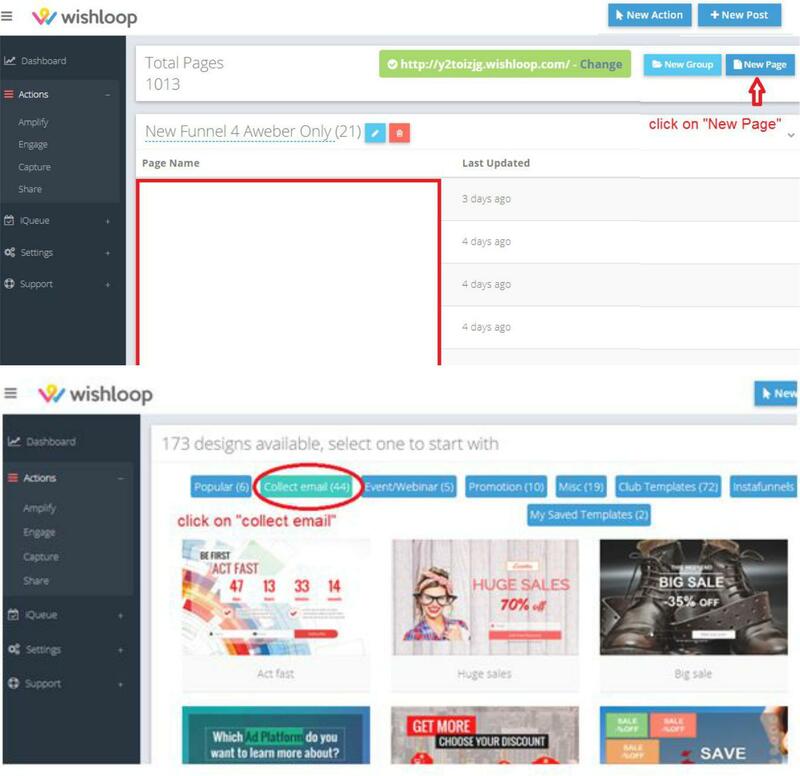 There are many Landing Page creators available, but as mentioned before we use Wishloop as it allows quick and easy creation of Landing Pages ideally suited for PushCrew Notifications. 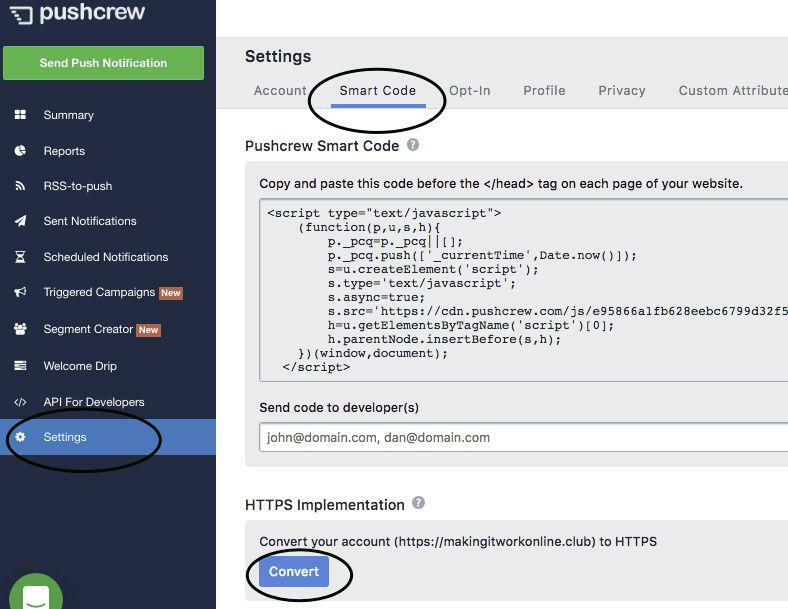 It also allows an any method of inserting the PushCrew Notification script into the pages without any real technical knowledge of coding or HTML. Something like this usually works. You should create 3-5 of your own designs and see which one gets you more subscribers. SSL Push Notifications will not work directly from Wishloop, so you will need to export your designed Landing Page into an HTML file, then upload it to your hosting via Cpanel. Firstly you need to add the PushCrew script into your Landing page to enable the SSL notification pop-up. 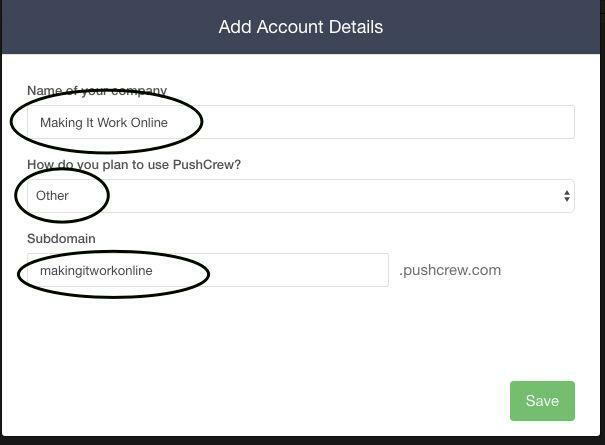 In your PushCrew Dashboard click on Settings -> Smart Code -> then click on the ‘Copy Code’ button. This adds the code to your clipboard ready to paste into your Wishloop Landing Page. Click on Settings on the right hand toolbar. click your mouse button and select Paste. 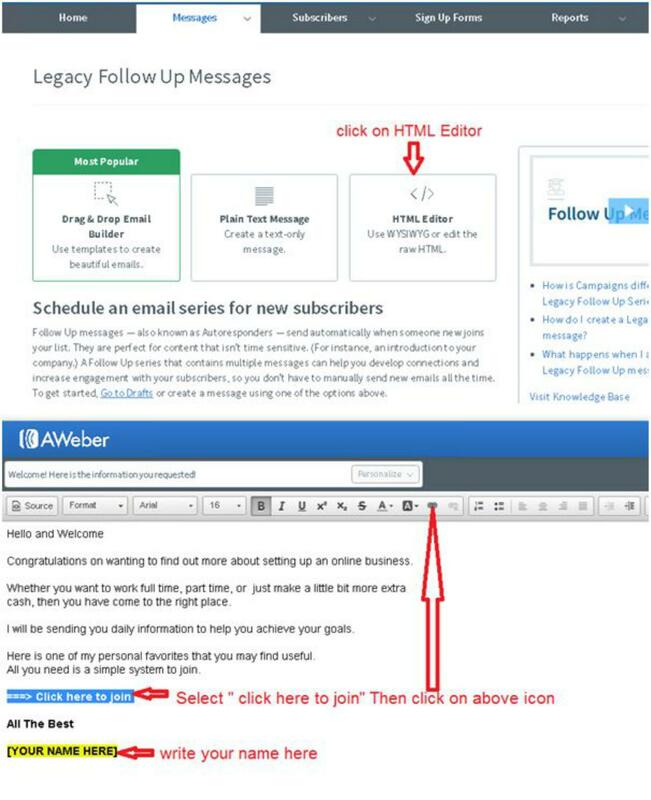 Click in the Script -> Header Scripts area, right Then save your Landing Page. 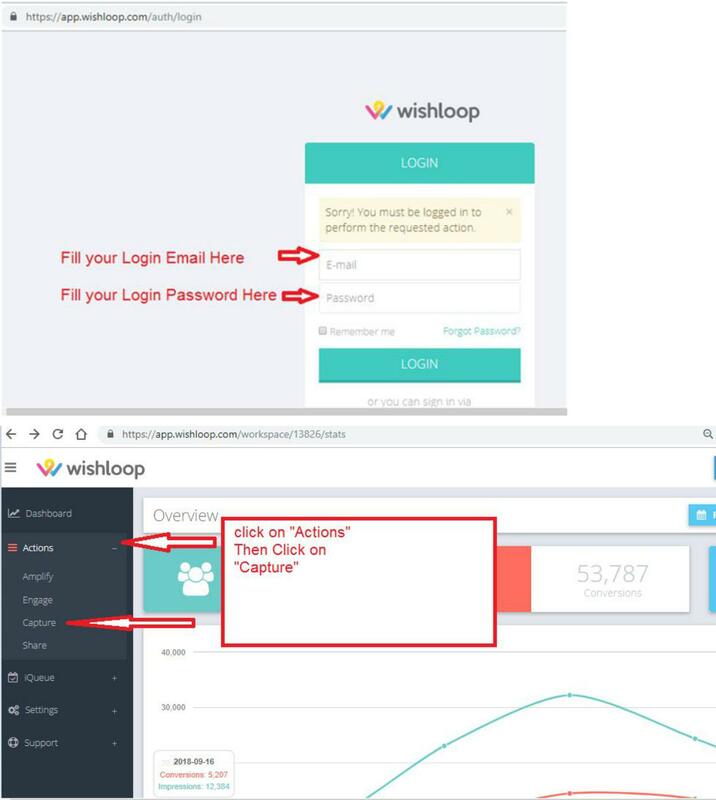 As mentioned before, the Push Notification popup will not load from within Wishloop, so you will need to create an HTML version of your Wishloop Landing Page. Load your ​wishloop ​squeeze page by clicking on the link. When your Landing page loads, click on an empty white space to the right of the content and select View Page Source. 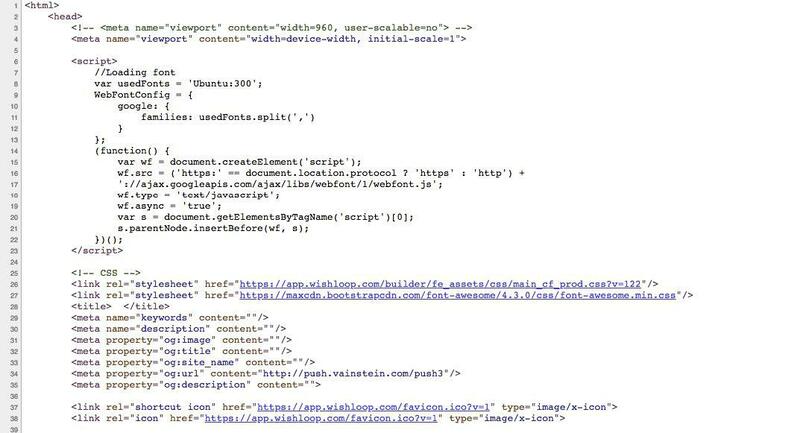 The resulting page will look something like this: This is the HTML code of your Landing Page. This needs copying to a file on the root of your hosting. 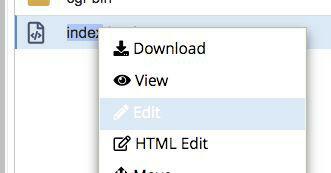 Step 4 – Highlight the contents of the page with the mouse (Press CNTRL-A for the keyboard shortcut), then click on Copy (to copy the contents to the clipboard). Now PASTE the contents of HTML script you copied previously above, the click the Save Changes Button. You now need to type your landing page URL into a browser to make sure the Push Notification pop-up works. Step 7 – Test the Optin. You should test the Optin of your Push Notification account by clicking on the Allow button. Once you have clicked on it, go the Pushcrew Dashboard and click on Summary. You should see Total Subscribers = 1. The screenshot below shows an account with 3,210 subscribers. Once your landing page is working, you are ready to show it to the public and start building your list. 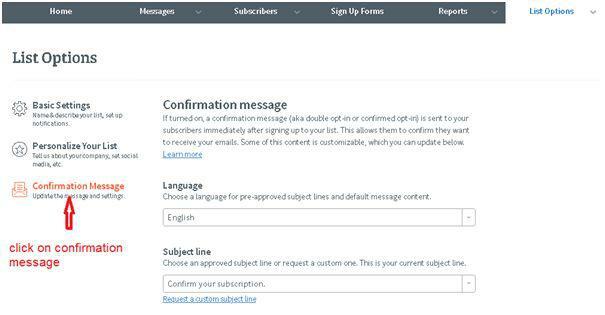 Before you do though, it is recommended that you create a Welcome Notification that is sent to subscribers once they have opted into your list. This is known as a Welcome Drip. 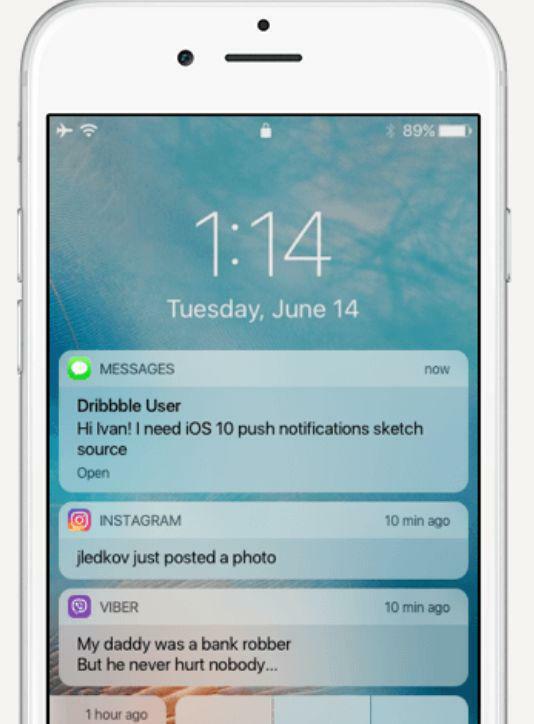 See ‘Creating Your First Push Notifications’ below to see how this is done, as well as how to create regular notifications that can also be scheduled for a later date and time. The first notification a new subscriber could receive is the Welcome Notification. This can be sent immediately after a subscriber clicks on the Allow, button, or you can time delay it for between 1 and 23 hours after subscribing. 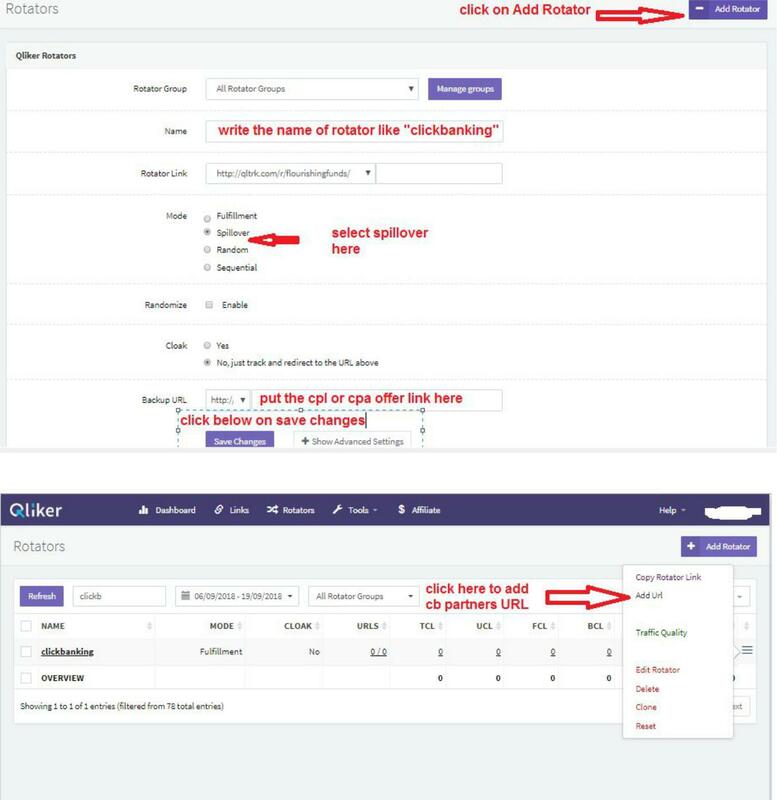 Enter a Title, and the message you want to send, then enter the URL of the Qliker tracking link you set up for your Clickbanking Rotator. 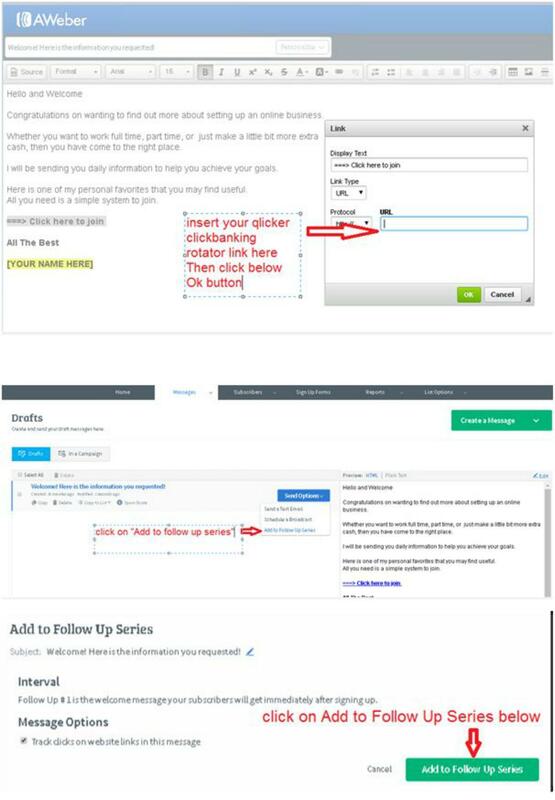 When a subscriber then clicks on the notification you sent them, they will be redirected to your Clickbanking tracking rotator. You can optionally upload an image via a valid image format file such as JPG, or GIF. Click on the SAVE button when done. Now Click on Start Campaign. 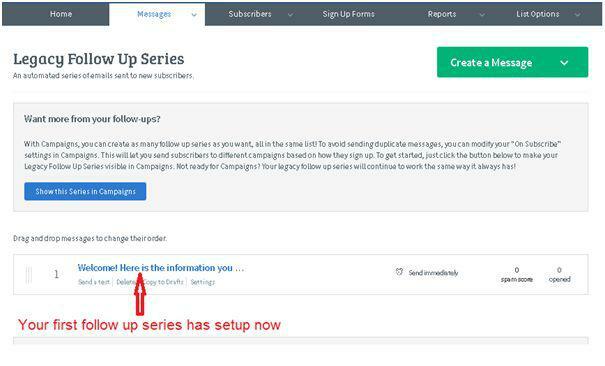 Now, as soon as somebody subscribes, they will be sent the Welcome Drip campaign notification either immediately, or on the time you scheduled. You can change the content anytime by Pausing the campaign, editing the content, and Re-starting. Sending scheduled notifications uses the same process as setting up the Welcome Drip Notification that we explained above. Click on Scheduled Notifications, then click on Send New Notification. You can now set up a new notification in exactly the same way as described above. 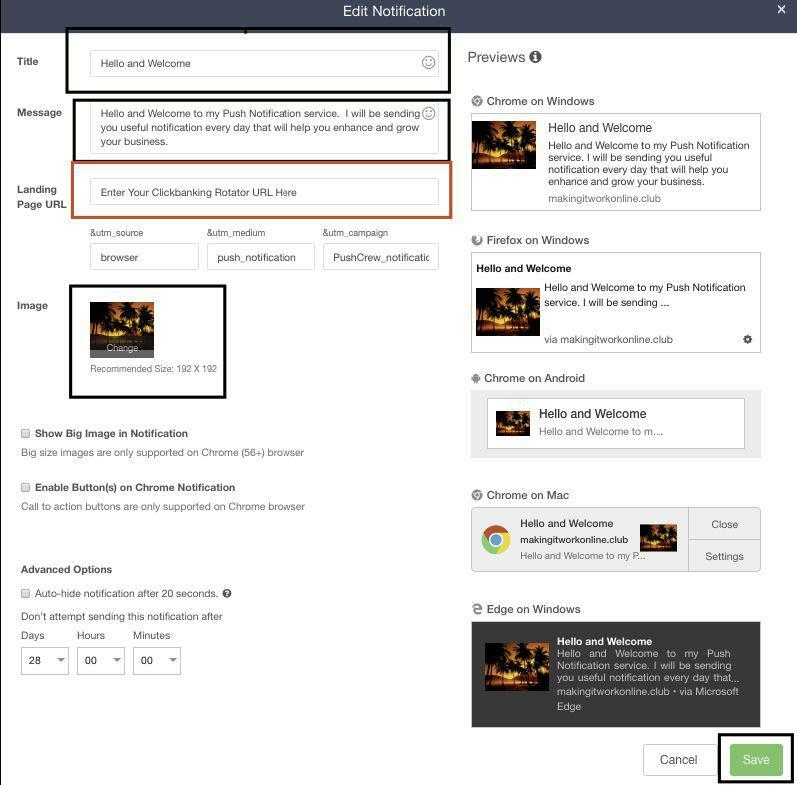 Once you have sent out a few notifications, you can click on the Duplicate button to create a new notification easier, or re-send a previous good one. You can do this by clicking on Sent Notifications. From here you can also see how many notifications were successfully sent, and how many people click on your link on the Notification. Now you have push notifications set up. You send these to exactly the same place you would your broadcast emails (your banking rotator). Push notifications gives you a HUGE boost in click power. You can run this system without them, but pushes are really what makes this method different and powerful! So now you have everything set up you can start building your list yay! So to start at this point I would test what you have set up. Go and grab our list of banking partners in our facebook group. Tell them you have Wayne Crowes product and it will increase your chances of people banking with you. You are looking for 3 people who can send first to your tracking link and 3 people you can send first too. Start by asking people if they can send you 100 clicks to start off with, if they say no ( and some may when you are new) then you can ask if you can send to them first. 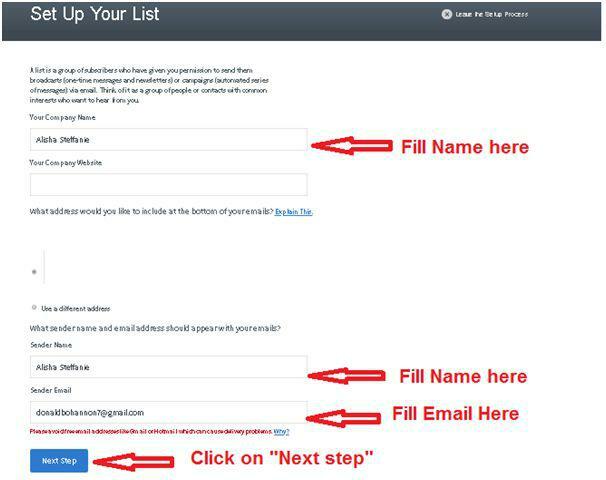 People who you send to first you put in your rotators, people who send to you first you give them a tracking link and here is where you start building your list. Once you have 3 people sending to your funnel first, and 3 people you are sending to… You are now building your list (yay). Now, to find the right banking partners is tough there is a lot of crap that goes on out their. To make it dead easy for you I have put together a list of banking partners that you will never, ever need to question their integrity. How do I know? Because these are in my VIP group and are at the top of their traffic game, so I know you will receive the quality and the speed you need (and I also know how knowledgeable and helpful they are, so you will start your networking with some of the best!). Now you have everything set up and moving nicely you can start to broadcast to you aweber list. We recommend broadcasting 2-3 times a day at the start. 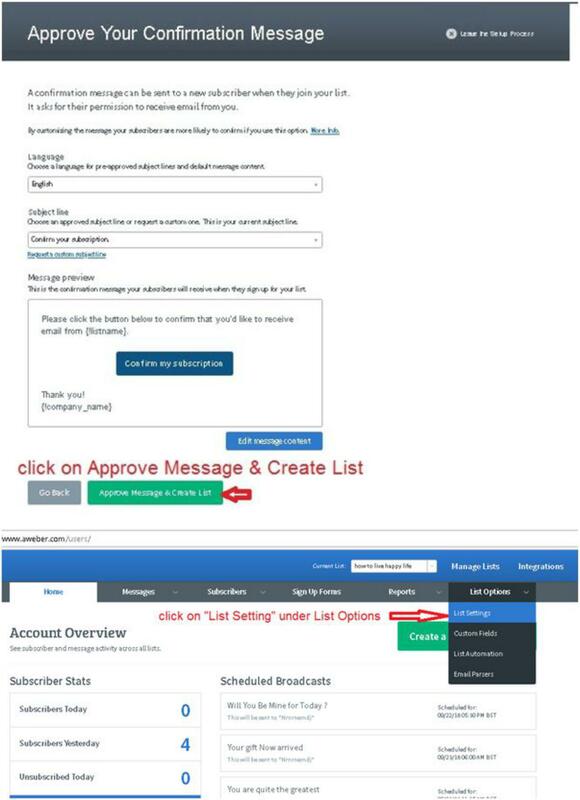 You broadcast in the exact same way as the follow up steps we mentioned before but you choose broadcasts instead. Broadcasts are basically the way we make profitable clicks! 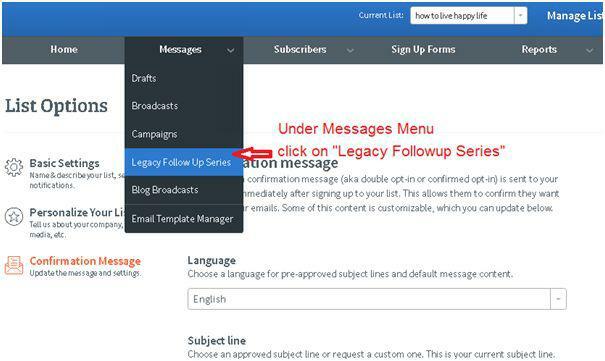 For those that do not know broadcasts are a way of sending emails to your list whenever you choose. Whenever you send a broadcast you send it direct to your click banking rotator (and the same goes for push notifications too. So now with your funnel producing clicks going to partners and also your push notifications and broadcasts, your click power will go up and up. Again if you are not sure what to use in your broadcast (swipes we call them) then use the swipe snipe method inside our Faceboook group for free (or you can opt into other people’s lists and see what they are writing. It may also be a good idea to cloak all your links for you click banking rotator and especially your broadcast links! Cloaking basically hides your URL so if Aweber decides that every one using a certain link should be banned then this could be you! For more info on how to cloak rotator link see our facebook group where we will be adding videos on how to do this. Now there are a number of ways to make money from your traffic. You can send them to affiliate offers, you can send them to partners as sold clicks ( I do not suggest you do this, but you can do this when you are a bit more experienced and understand a bit more about selling traffic). You can also make money from adsense websites, but again this requires some technical knowledge and know how but is a great way of monetising. 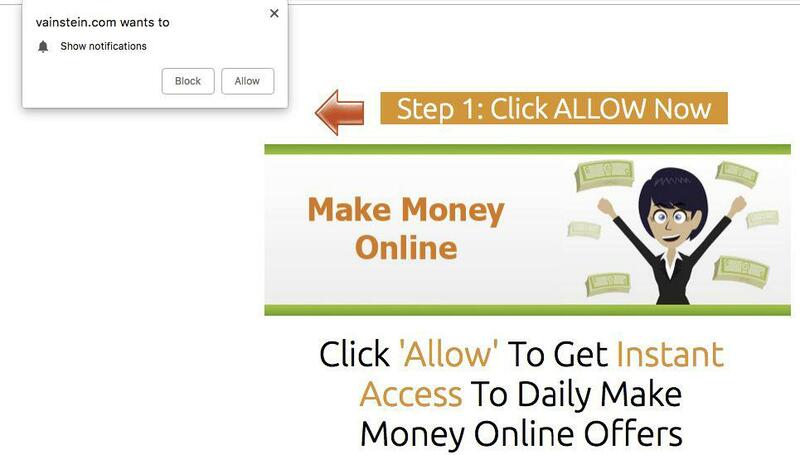 When you are banking you will have more and more excess clicks over time and at this point, you can start sending your traffic to your very own offers! You can even stop click banking (I wouldn’t advise it though) and seek out more profits. Remember you are looking for Biz op and MMO offers. So hopefully you get a great idea how to build an email list, how to build with pushes and build a solid business that can produce traffic to any internet marketing, biz op or affiliate program you are part of or own. It gives you a great insight into the world of underground marketers, there is almost an endless amount of ways you can generate and create traffic it’s just limited by your mind and the people you know.